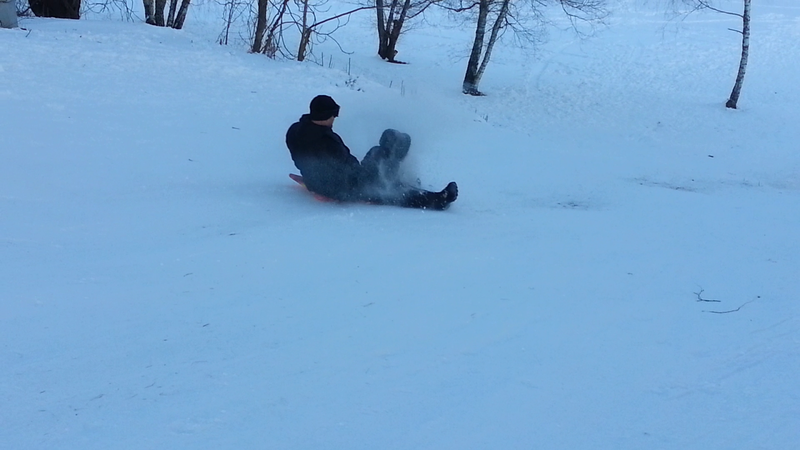 We went sledding at Maple Moor Golf Course with a bunch of friends. It was a blast. We all got to go down the hills a bunch of times. One of the hills had a sand pit and we went air-born a few times. I think one of the rides popped our tube. On the other hill we got very close to sledding into the Hutchinson River.